Tepin's trainer Mark Casse has described a return visit to Royal Ascot as "a possibility" for America's mighty mare, who stays in training for 2017 as a six-year-old. But if Casse isn't ruling out a second trip to Britain for the Queen Anne Stakes winner, then he isn't exactly ruling it in either. Tepin had her first workout of 2017 on Sunday with an easy half-mile under jockey Julien Leparoux at the Palm Meadows Training Center in Florida. She is set to return to action in the Grade 3 Endeavor Stakes at Tampa Bay Downs on February 11 before travelling to Meydan for the Dubai Turf (ex-Duty Free) before her connections consider Royal Ascot. "I wouldn't say it's not a possibility," said Casse, who also has Kentucky Derby favourite Classic Empire in his string. "It is possible but right now I’m just trying to get over those first two hurdles but it would be something to think about, for sure." 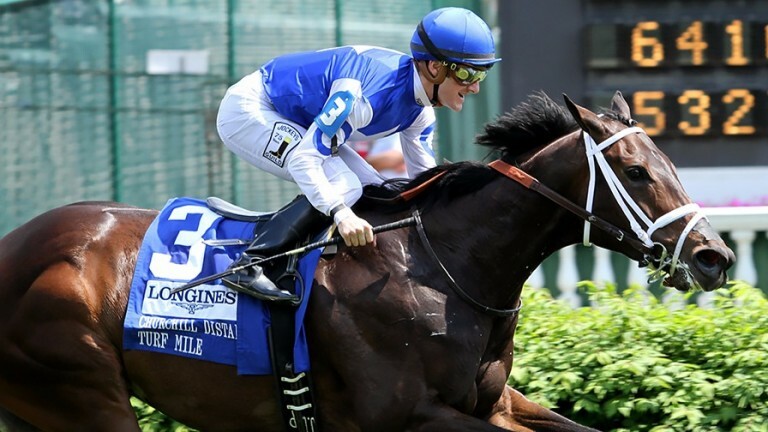 Six-time Group/Grade 1 winner Tepin breezed a half-mile on Sunday. "She’s had a good first step but there’s still a way to go – she’s getting older now," Casse told the Racing Post. "She still loves what she does and Julien was very happy with her. "We're looking at starting her off in the Endeavour which she won last year," added the trainer. "But she's done so much for us that any little hiccup would mean she just won’t run anymore. She owes us nothing and you've got to try to protect her – we always do that, of course, you've got to be extra-careful with her." Never worse than second in 15 starts over the last two seasons, Tepin narrowly failed to defend her crown in the Breeders' Cup Mile at Santa Anita in November when she failed by half-length to catch the winner Tourist. "I thought she ran an extremely good race," said Casse. "I'm not sure it wasn’t her best race. We knew going into the Breeders' Cup that speed is so tough out there at Santa Anita over a mile and we tried to keep her closer but they were rolling early. They were going fast and it was a little struggle for her to keep up early. "Turning for home she found herself having to run down Tourist and she tried but she just couldn’t quite do it. Keeneland or somewhere like that would’ve been a little more to her liking but Tourist ran a heck of a race." Tepin's three-year-old stablemate Classic Empire – like Triple Crown hero American Pharoah, the colt is a son of Pioneerof The Nile – became ante-post favourite for the Kentucky Derby with an impressive victory in the Breeders' Cup Juvenile. After a sparkling return to workout action on Sunday in company with three-time Grade 2 winner Kaigun, Classic Empire is being targeted at the Grade 2 Holy Bull Stakes at Gulfstream Park. 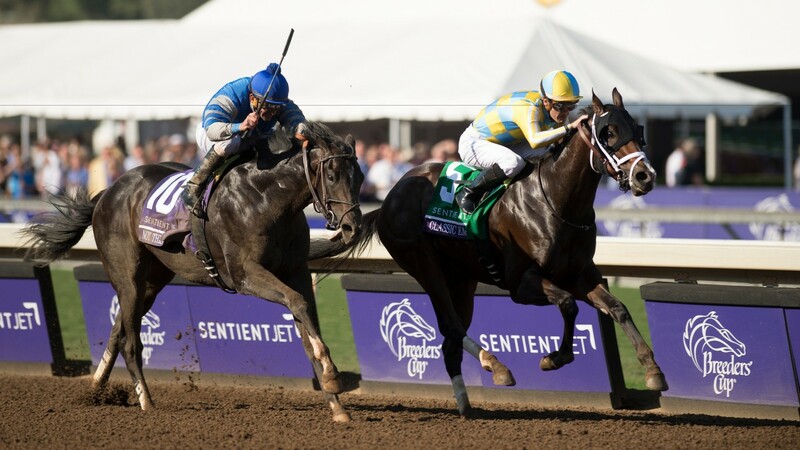 Casse was delighted with what he saw on Sunday, saying: "I was real happy with the horse. What I found so interesting is that it was effortless and how quickly he recovered afterwards. It took nothing out of him. "He’s a remarkable horse – extremely talented. It comes easy for him, which I find amazing. If everything goes to plan, which it so seldom does, we're looking at the Holy Bull."